•The average time from breach to detection is 210 days. •Mobile malware samples increased by 400%. •E-commerce applications account for 48% of breach investigations. Do you want the inside track on the threats you’ll be facing this year? 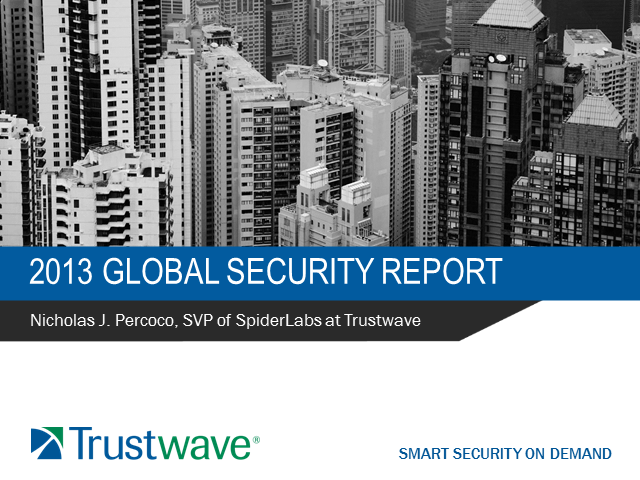 Then sign up for this expert webcast covering the highlights of the 2013 Trustwave Global Security Report. Hosted by Trustwave’s SpiderLabs elite research and threat intelligence team, what you see and hear in this session will help prepare your business and your teams for what’s ahead in 2013 and beyond.